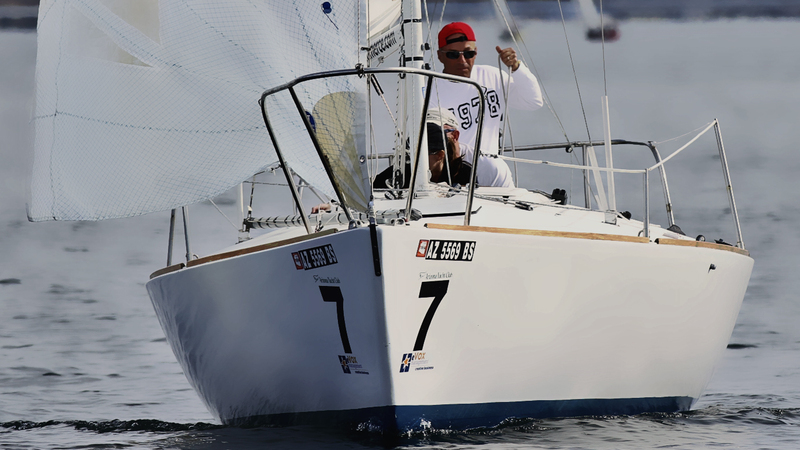 When Victor Felice decided to spruce up his J/24 Mermaid Rescue, he didn’t go halfway. He wanted to make it cleaner and faster and was prepared to put in the sweat equity to make it happen. Tuesday night, he’ll show you how he did it, from the haul-out to the fun time when the crew splashed the Mermaid again. The meeting is Tuesday, June 10, beginning at 7pm (but arrive early for dinner). Monthly meetings are held at the Caddy Shack @ Rolling Hills Golf Course, 1415 North Mill Avenue, Tempe, AZ 85281-1205 (map) and both members and non-members are welcome to attend. Victor loves to sail and he loves to shoot video of his sailing, so he’ll be bringing some of the action to the meeting, including this video of the first time back in the water on May 31. 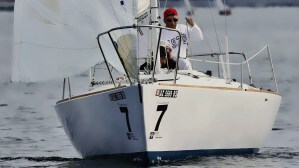 Rear Commodore Chris Smith will also be there to tell us about his race to Catalina on his J/80.